F 2/c Sterling Price Bacon, Jr. son of Mr. and Mrs. S.P. Bacon, attended school in Grandfield; husband of the former Lola Faye Lanford. 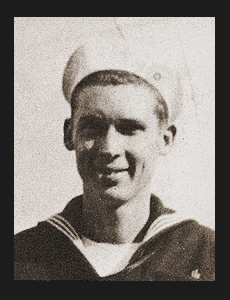 Entered the Navy in Aug., 1944, trained in Camp Peary, Va.